Apple and Samsung are gearing up for a second U.S. patent lawsuit slated to begin March 31, but were requested by the court to at least attempt to reach a settlement before that date. According to a report by Florian Mueller of FOSS Patents, a primary barrier to reaching a deal may be Apple's stipulation that it include an anti-cloning provision. Mueller wrote that "Samsung may hate the notion of an anti-cloning provision," adding "it's definitely at odds with the strategy that enabled Samsung to become the global market leader in smartphones." Last week, Apple's Chief Intellectual Property Counsel B.J. Watrous stated in a sworn declaration to the United States District Court of the Northern District of California that Apple's "discussions with Samsung have consistently included limits to both the scope of any license and a prohibition against cloning Apple products." The company also wrote that Samsung's contradictory assertion to the court in a opposition filing was not true, stating, "Samsung incorrectly claims that Apple made recent offers to Samsung without anti-cloning provisions. Every offer Apple made to Samsung has included limits to both the scope of any license and a prohibition against cloning Apple products." At stake in the matter is not just whether Samsung will face an embarrassing stipulation that it must stop "slavishly" copying Apple. More importantly, Apple's efforts to clarify that it has no interest in granting Samsung a full, unrestricted license to use any and all of its technologies factors into the iPhone maker's prospects of winning injunctive relief against Samsung. The filing Mueller published today noted, "Apple has been awaiting resolution of its request for a permanent injunction for nearly a year and a half following the jury's infringement verdict." It also complained that Samsung is seeking to stall any legal progress. 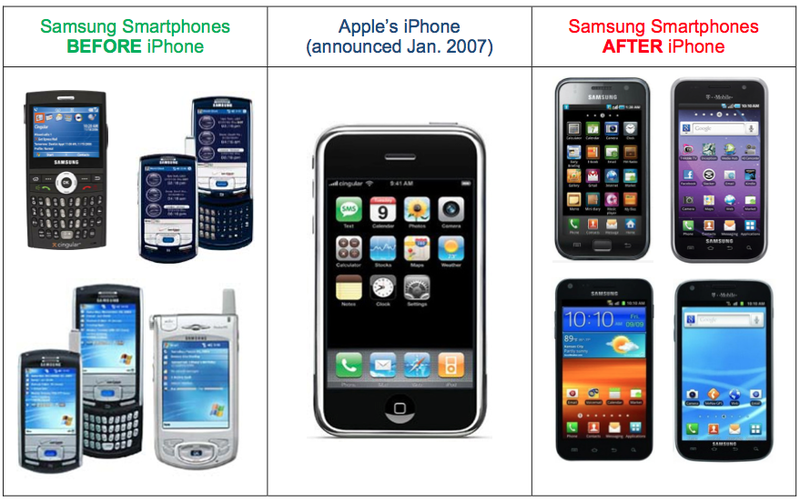 "Samsung persists in its strategy of delay-seeking to extend the briefing schedule for Apple's renewed motion, belatedly moving for discovery relating to Apple's negotiations with Samsung, requesting an evidentiary hearing even though the record is already fully developed, and asking the Court to stay enforcement of any injunction with respect to the '915 patent," Apple's filing stated. "Samsung also filed more than a thousand pages of documents, including 17 declarations, in response to Apple's 10-page renewed motion. Samsung's voluminous filings are an attempt to avoid the Court's page limitations and contain expert opinions that were not timely disclosed. The Court should strike those materials, just as it did before." It is generally difficult to win permanent injunctions even against infringing products in the U.S., but Apple hopes to push its case for a sales ban of Samsung's products found to infringe its iPhone patents last winter and expand the injunction based on a second volley of patents it is defending in this year's litigation.